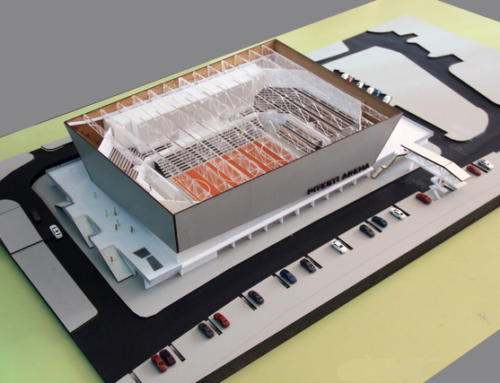 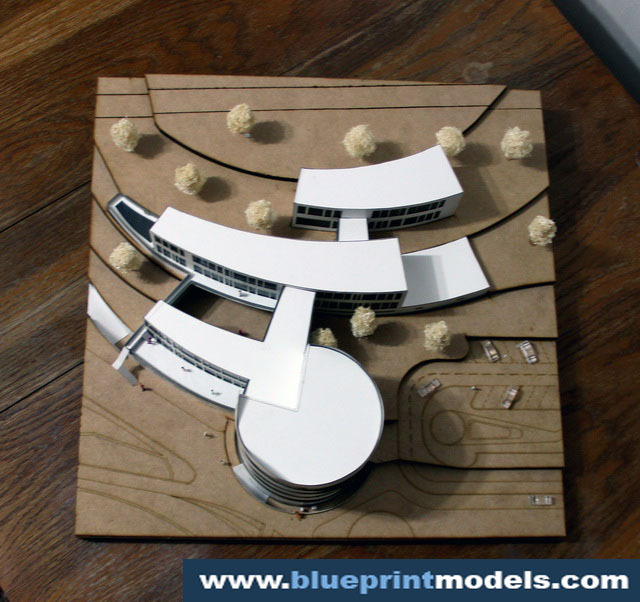 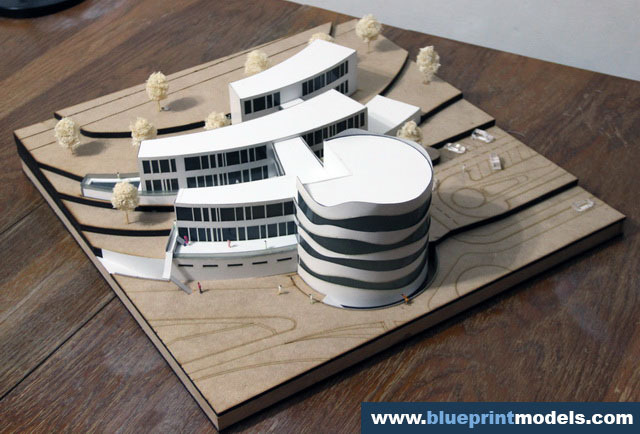 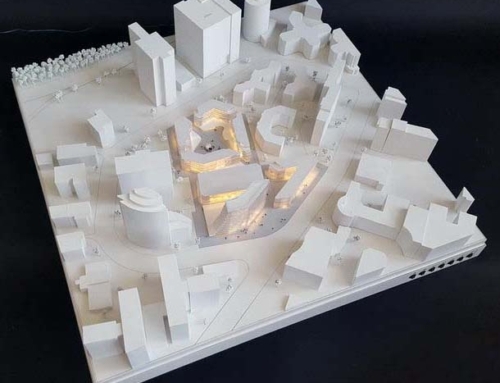 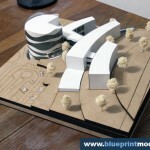 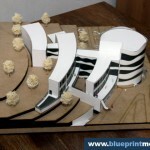 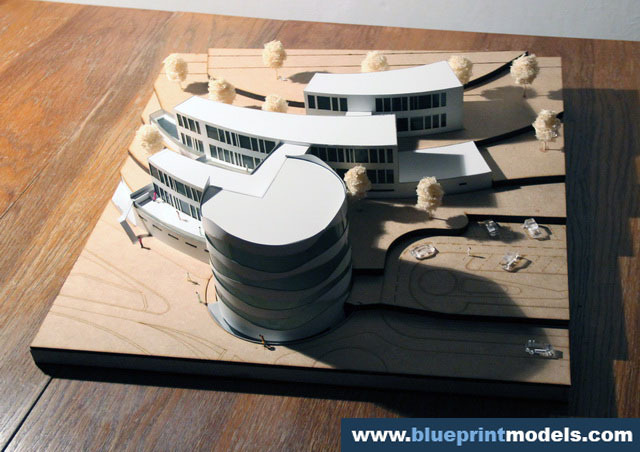 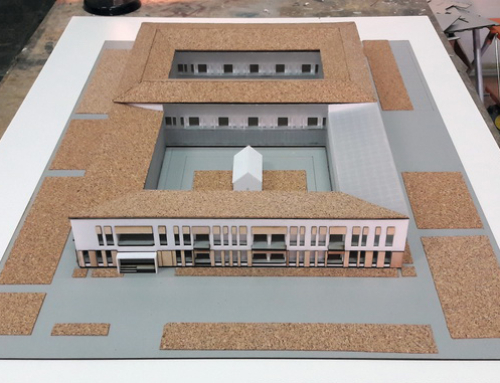 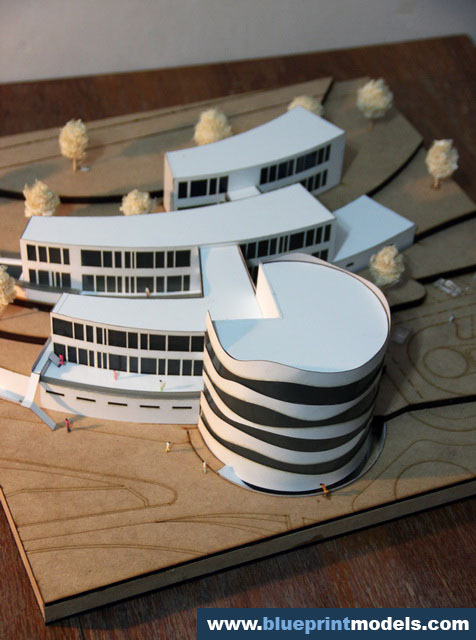 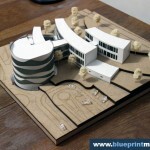 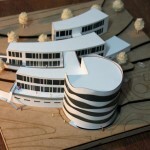 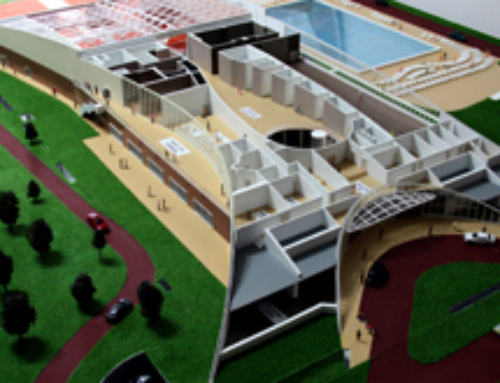 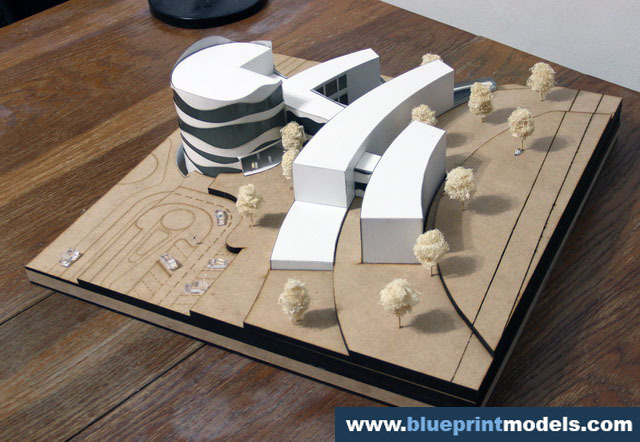 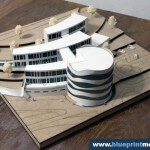 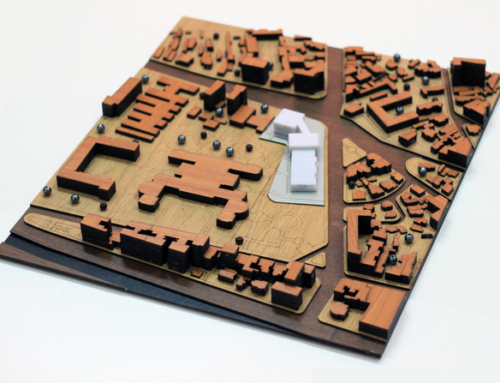 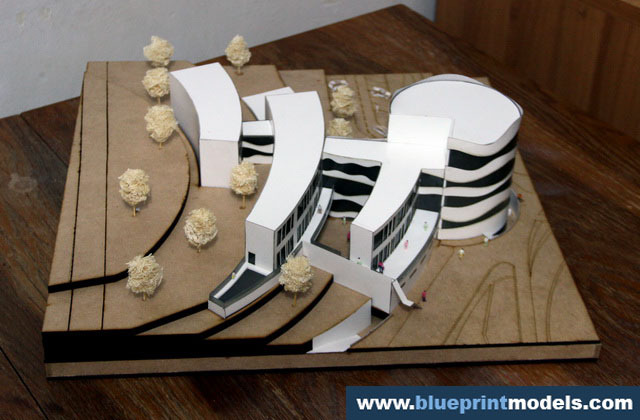 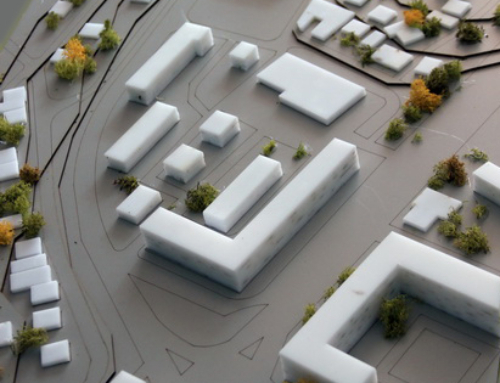 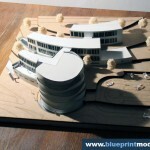 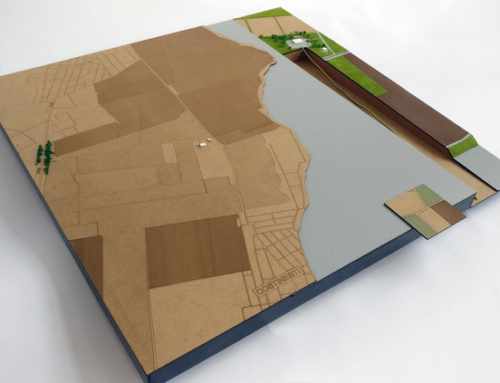 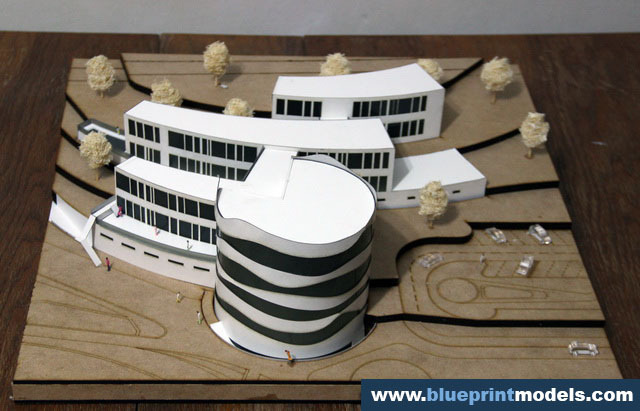 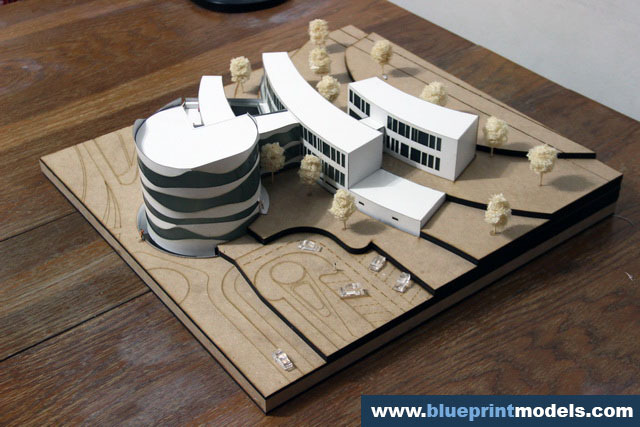 This 1:200 scale model was a graduation projection at the Ion Mincu Architecture University.Due to the short deadline, simple and easy to use materials were chosen, which however do not affect the model’s graphic quality.Plain MDF plywood was used for the inclined terrain, and 1mm-thick white duplex cardboard for the building, as it can be easily bent in order to obtain curved surfaces. 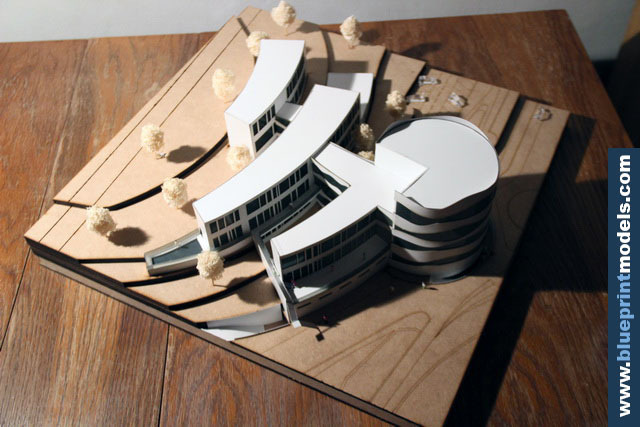 Entourage elements consist of trees made of loofah. 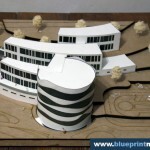 It took 3 days to complete.